This luxury red leather dog lead is handmade using tartan Masai blanket fabric in a bold red, white and blue check. 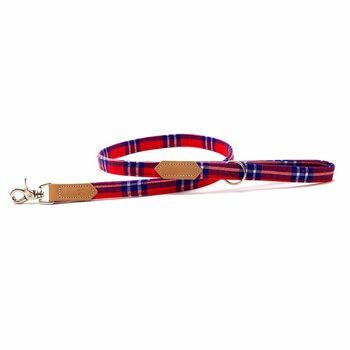 Classic Lead: Our designer dog leads are backed onto tough polyester webbing and stitched with nylon thread. We use high quality 'lobster claw' trigger snap hooks with a spring-close gate for extra security and solid D rings, making them ideal leads for large dogs (and small strong ones!). 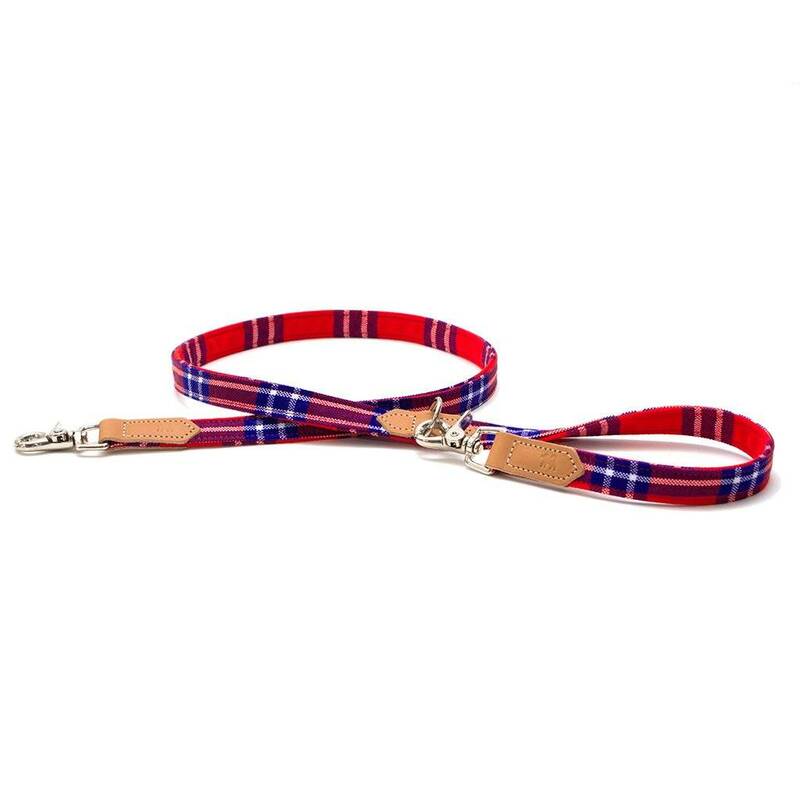 Cafe Lead: The design of our 'Cafe' dog lead makes it easy to keep your pet with you wherever you go. Simply use the extra trigger hook to clip the lead around the table leg at your favourite cafe and enjoy your morning caffeine fix without the need to sit or stand on your dog’s lead. Masai blanket 100% Acrylic. Polyester Webbing. Vegetable tanned leather embossed with our signature Hiro + Wolf dog motif. This product is dispatched to you by Hiro + Wolf.